I honestly can only find a comparison with them because of their names and the fact that Jason has such a deep musical knowledge of Zeppelin. 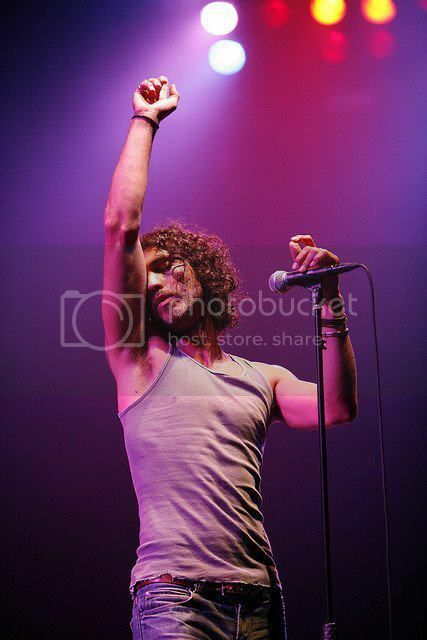 That being said, while he is a great percussionist in his own right, his style is nothing like his dad. Where as Bonzo had such a tremendous swing/funk vibe, Jason's is more straight forward and rock. But you also have to look at it in context. Bonzo changed how someone approaches rock drumming so of course Jason will be compared to him. Nearly everyone else is! You're welcome Juliet. And happy new year to you too! 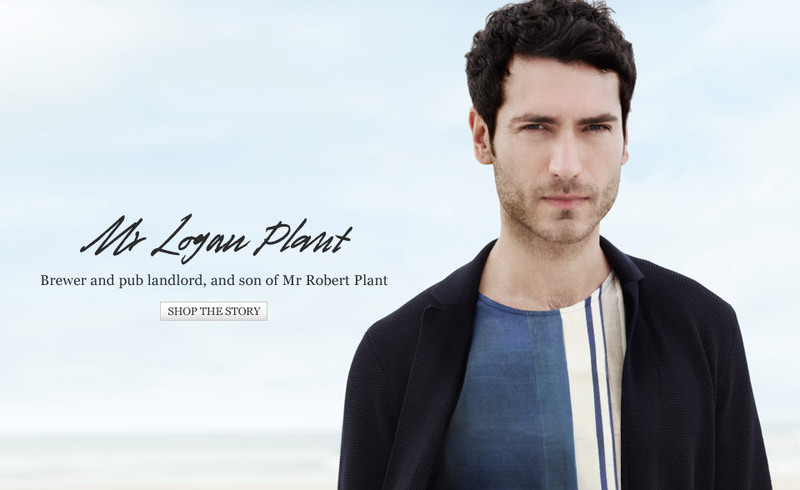 Logan Plant: Mr. Porter Campaign Sneak Peek! 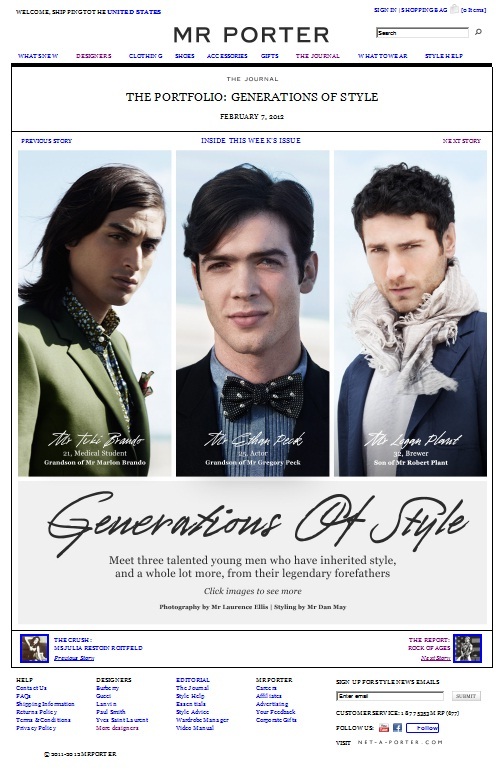 Ethan Peck, 25-year-old actor, and grandson of Gregory Peck, is just one of three faces who are fronting the new campaign that will launch later this month. Tuki Brando, grandson of Marlon Brando, and Logan Plant, son of Led Zeppelin front runner, Robert Plant, join Ethan Peck for the campaign. The campaign will also allow customers to shop directly from the campaign images. I do like the Sons of Albion! Do they have a proper release? Logan Plant, the son of Led Zeppelin's Robert Plant, is at the forefront of a niche movement that’s reviving London’s brewing industry. 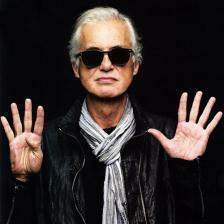 "You might have heard of his father Robert, the Led Zeppelin frontman. Logan initially took off in the old man’s footsteps, fronting the rock band Sons of Albion. This took him gigging around the world where a passion for beer, initially nurtured in Black Country pubs, turned into something more serious". "He pours me a glass of Beavertown’s rye IPA 8 Ball, a robustly hopped beer with ripe orange skin and spicy rye on the nose, orange and lemon on the palate all held in line by a firm backbone of rye crispness. The dry and bitter finish chimes away like a constant peal of bells." How did I miss this thread. This has put a smile on my face. Damn! A man who looks like that AND brews beer. I'll drink to that. I thought Gregory Peck was Face from the A-Team. Say what DAS? Have you been drinking Logan's beer? Sons Of Albion- I think the whole CD is on you tube. "Yup - this really just happened! Robert Plant walked into the brewery Tasting Room with his son Logan (who happens to be a founder of Beavertown Brewery in London). Wow." Another article on London's beer rennaissance, this was posted by the BBC in late December, signed by Andy Dangerfield, and titled "London real ale renaissance: Surge in brewery numbers". "(...) the capital has more active breweries than at any time since the 1930s. In 2006 there were seven, now there are 30". "About 2.2m barrels of real ale, about 633 million pints, were sold in 2011 - a 1.6% rise". "Good Beer Guide editor Roger Protz puts this down to "a big sea-change in drinkers' attitudes". "The British love supporting the underdog and a lot of people would now prefer to support local breweries, rather than big international brewers," Plant is quoted as saying. If you’ve visited a hip pub, bar or restaurant any time recently, it won’t have escaped your notice that the barbeque style food of the American Deep South is sweeping London. Pulled pork, proper wings, and big slabs of meat - slow-roasted for a day or two until they fall apart to the touch and simply ooze into you - are bringing furry-arteried joy across the capital. This cuisine also just happens to be a perfect match for a good, characterful beer, which is why it’s more popular in craft beer pubs than anywhere else. One of my favourite such establishments is Dukes Brew and Que in Haggerston. As well as being an excellent rib joint and craft beer bar, this splendidly converted boozer was until just recently home to the Beavertown Brewery, which has just had to move out into bigger premises thanks to the demand for its amazing beers. Places like Duke’s and brewers like Beavertown are almost hyperactive in their quest for new ideas. They’re thrilling to be around. Which is why I was delighted when they invited me to their first ‘Fusion Night’ at the end of last month. The idea was to bring together a collaboration of different culinary styles, making them work together and matching them with London’s craft beers. At this first event Duke’s welcomed Tim Anderson, winner of Masterchef 2011 and former bar manager at the Euston Tap. Masterchef fans may remember that Tim distinguished himself with his twin passions for Japanese food and craft beer. He’s due to open his first restaurant, the southern Japanese influenced Nanban, in London later this year. So Duke’s felt that, for their inaugural event, Deep South USA and southern Japan made for an intriguing - if not immediately obvious - combination, with all proceeds from the event going to Fareshare, Tim’s charity of choice. We started off with snacks that set the tone – garlic ramen jerky (described by Tim as “pork infused with pork, and then dehydrated”) pork crackling with Shichimi spices, and sweet potato biscuits with black sesame butter. These guys weren’t fooling around, and as I remembered how much Japanese food can be deep-fried or barbecued, it made sense that the flavours went together beautifully. The snacks were paired with a pale ale from Partizan, a great new brewery based in Bermondsey that is turning heads with their clean, flavourful beers and distinctive design. Next we had Cornroes, basically smoked, cured and battered spicy Pollack roe with a side of shredded cabbage and dipping sauce. It was a ridiculously opulent dish, with the fish inside somehow singing out through everything that had been done to it. This was matched with a sweet potato ale from Pressure Drop, a Hackney brewery only a few months old. Again, their beers are impressive generally, although this one is still a work in progress. Inspired in part by the popular Sho Chu and Chu Hai drink of Japan, Tim is working with Partizan to develop this as the signature beer for Nanban when it opens. The brewers were there on the night and admitted it’s been a steep learning curve to perfect such an unusual and challenging brew. But they will get there – this version was close. Next came ‘Smoky Sōki Soba’ – an Okinawan style Ramen that differed from the original in that it had one of Duke’s slow smoked BBQ ribs sticking out of it alongside the tea-pickled egg. Tasting the dish, having watched Masterchef avidly and now getting to taste Tim’s food for the first time, it struck me that some people enter that competition because they are keen cooks, and others go in because they have a gift and a vision. The ribs were like nothing else, all smoke and molasses and tequila, while the broth was simply amazing – like Bovril would be if it were made by faeries. The dish came with some heavenly pickles on the side – rounded, not too sharp and perfectly spiced. This was all paired with Beavertown’s own saison, a work of art in its own right, brewed with pink grapefruit zest and black peppercorns. It’s wine-like, fruity, full and cheerful, with a spiciness that complements the food perfectly – Beavertown’s best beer yet. I was already pretty full after this, but I remain thankful I was persuaded to try the dessert – a malt and hop ice cream parfait, made essentially by starting to brew a beer, except only with cream, instead of water. This was served with chilli cream, peanuts, brownies and a soy sauce caramel. The combination of cold and heat was fascinating, and the Export Indian Porter from Kernel finished off a dish that in turn finished off this writer. There was no room for anything else. But Tim was in for one bittersweet blend of disappointment and joy before the evening was over. Beavertown is run by Logan Plant, who has a very famous father. Logan invited me to sit at the top table alongside the brewers who had created the beers, and we were all a little overawed when Plant Senior, lead vocalist for Led Zeppelin, turned up. He stayed for a couple of courses, chatted to us all about beer and barbeques and football, showed how proud he was of his son, and then left. An hour later, Masterchef Tim, freed from his chef whites, slumped down at our table and sank a well-deserved beer. We were all excited for him. We assured him it was true. No offence to the former Broom Cupboard denizen and handler of Edd the Duck, but on the basis of tonight, everyone involved can expect more famous fans in the very near future. Now I wonder, why hasn't anyone considered the lad for a Jimmy Page collaboration? How would that go over with Pops? This thread is all kinds of awesome Southern style bbq is sweeping London?! Love it!! Thanks Deborah ... what a lovely guy ! He seems to have much of the fluency and affability of his dad .. And also lovely to detect a bit of a West Midlands accent despite what must have been a life lived in many spheres ..